Analog/digital for both live and overdub recordings, using two recording rooms. Live room A is 230m3 (8,5x6x4,5m) and Live room B is 55m3 (5,4x3,7x2,7m), both designed and built to be versatile in sound captures. Direct To Vinyl consists in a live room, a few basic tools, no fx or technological artifact and a ribbon monophonic microphone, appropriately amplified and directed to the lacquer cutting lathe machine. And so, the musical performance ends directly on lacquer disc. The acoustic mix is obtained through an appropriate positioning of the sound sources compared to the microphone. That's how they used to do it, starting around one hundred years ago. This is how each musician can listen to and control his own sound within the overall band. The musicians must give the best of themselves and never prevaricate others, because once the cutting enginner started to cut the lacquer disc nothing can be corrected. A 110m3 control room designed by architectural acoustic designer Christian Malcurt, a vintage analog Raindirk LN1 Symphony 48 channels in line console, AVID PRO TOOLS HD3 digital system and numerous outboard signal processors allow any digital or analog recording to be mixed, exploiting the potential of both state-of-the-art digital machines and valued vintage machines. 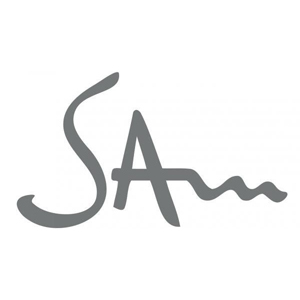 In order to preserve you audio archives, SAM Studio offers archiving, sound restoration and digitizing services from any format, having available numerous reading devices for vinyls (33, 45, 78 rpm), audio tapes (from 2 to 16 channels, 1/4'' 1/2'', TASCAM DA-98,TASCAM DA-78, ADAT, Minidisc, DAT) or Hard Drives (Alesis DD8). Our staff made up by highly qualified cinema, theatre and music professionals, is internationally experienced and offers creative expert advice to implement your creative projects, from concept to production.